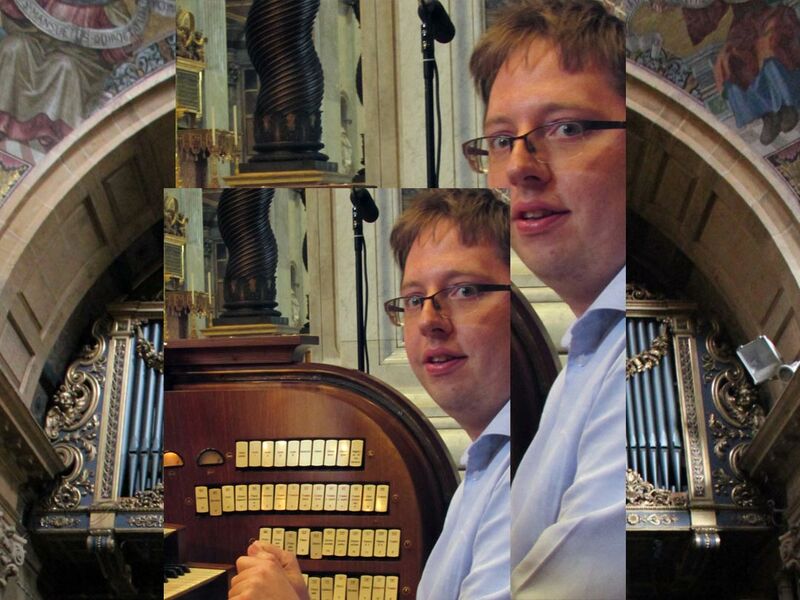 The next in our series of monthly Music events in support of the Oratory Development Appeal will be an Organ recital by the International organist Antony Matthews. The recital will take place at 7pm on Saturday 24th November in the Oratory Church of the Most Sacred Heart of Jesus, Richmond Hill, Bournemouth. Theodore Dubois – Toccata, J S Bach – Prelude and Fugue in G major, Thalben Ball’s Elegy, and pieces by CHH Parry, Herbert Howells, and Jehan Alain. Antony read music at the Universities of Exeter and Bristol under Paul Morgan and Dr David Ponsford, graduating in 2006. He has toured extensively in Europe and England, playing in numerous cathedrals and basilicas, including ST Peter’s in Rome as well as the cathedrals in Berlin, Brugge, Oostende, Limerick, Ennis, Bury St Edmunds, Guildford, Winchester, Gloucester and Exeter. He is currently Organist and Choirmaster at All Saint’s Parish Church, Carlshalton, combining this with his position of Organist to the Polyphony Choir at St Bartholomews Catholic Church, Norbury and accompanist to the Sutton Chorale. he holds a BA (Hons) LRSM, and is currently studying for his FRSM with the renowned international concert organist Robert Munns.